Photo caption – left to right, Chris Oglesby, Bruntwood, and Nigel Wilson, Legal & General. The launch of a new science and technology property business between Bruntwood and Legal & General has provided a welcome vote of confidence in the UK’s research and development base. 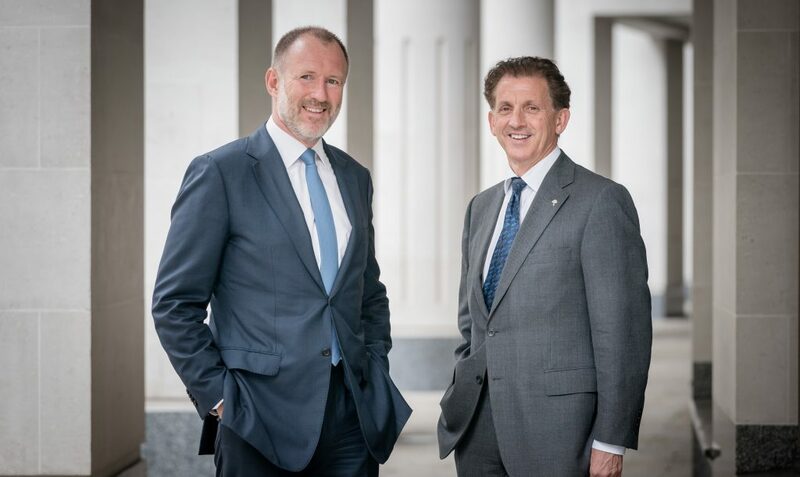 The 50:50 partnership will see Bruntwood and Legal & General invest £360m of capital, property and intellectual assets into a new company, Bruntwood SciTech, with a business plan supporting the creation of over 20,000 high value jobs. The deal represents the largest investment made in science and technology property assets in Europe this year. Influential led on the public relations for the announcement, which has attracted worldwide media interest. Bruntwood SciTech’s portfolio is already home to more than 500 science and technology businesses, ranging from digital start-ups to global life sciences companies. It is centred around flagship assets and development projects in Manchester, Birmingham and Leeds, and includes the internationally-recognised life science campus in Cheshire, Alderley Park. Liverpool also features strongly in its forward plans. The major life science asset within the portfolio, Alderley Park, is already the subject of a £160m development plan, following its acquisition by Bruntwood in 2014. It is now home to 65 SMEs and 150 start-ups and is further focussed on forming, growing and scaling life science sector businesses. Bruntwood’s programme of investment and expansion has established an ecosystem that includes high specification labs, offices, scientific services and a programme of specialist business support. Alderley Park has two venture funds on site, one of which, the £42m Greater Manchester and Cheshire Life Science Fund has already invested in 25 businesses across pharmaceuticals, biotech, diagnostics, CROs and medical devices. Next year, the 150,000 sq ft Glasshouse building will open at Alderley Park, offering space for digital tech businesses, in part reflecting the convergence between drug discovery and digital tech, including artificial intelligence. Bruntwood SciTech will also develop and be home to a new world-leading precision medicine campus within Manchester’s Oxford Road Corridor Enterprise Zone. Leveraging its position on Europe’s largest clinical-academic campus the £60m expansion of Citylabs will be the heart of the new cluster and occupied by global diagnostics company QIAGEN. The expanded campus will also complement the pioneering work by industry and the NHS in Greater Manchester to integrate electronic health data with genomic technology.